Yesterday morning Karen and I crossed over beautiful Clark’s Creek, a popular fly-fishing creek in this area, and began our two-day, 15.9 mile hike to Swatara Gap. The hike up Stoney Mountain was long but gradual, never steep, and with no switchbacks. The mountain lived up to its name; it was, indeed, stoney, but required no scrambling up and over boulders. Karen and I were surprised to see so many rhododendrons growing by the trail at many places. The early autumn season was evident in the leaf-strewn path that marked our way, although the trees have only just begun their seasonal metamorphosis. The sky was overcast throughout the day, but the air was cool, and it was a fine day for a long hike through a beautiful forest. Our only concern on this hike was that we were walking through game lands during hunting season. We didn’t, however, hear any gun shots, except for perhaps once, in the far distance. 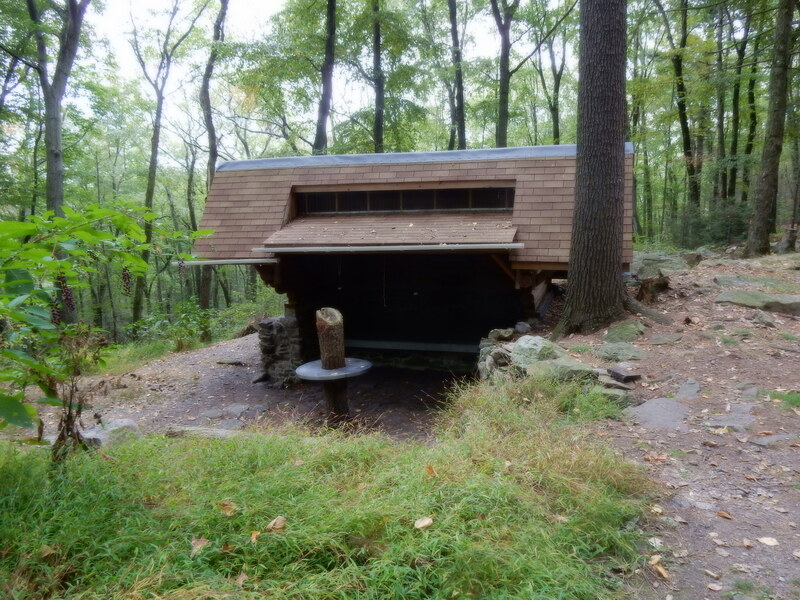 Having been assured that the spring at Rausch Gap Shelter was “reliable,” I didn’t carry extra water with me. Karen and I carried only what we might need for the first day’s hike. When we arrived, we were quite disappointed to find that the spring had run dry. The trough (into which the spring empties) was still full, but as it had a layer of rodent droppings at the bottom, we elected not to attempt any water purification. We had almost made up our minds to pack up and continue our hike to Swatara Gap when we discovered that nearby Rausch Creek had a nice, clear flowing stream. We filtered water, and made our way back to the shelter, where we set up our tent for the night. 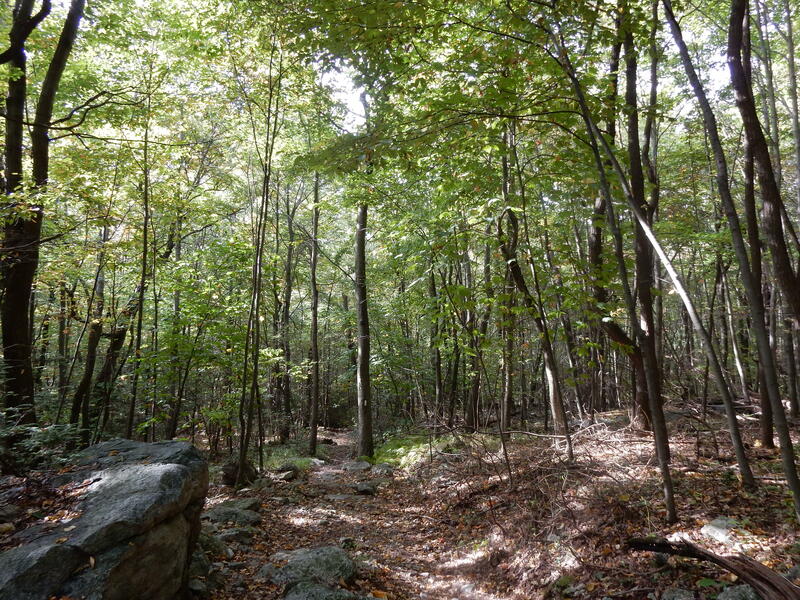 Today we climbed Second Mountain and had a pleasant five-mile hike through its scenic wilderness. Reaching Swatara Gap before noon, we felt that our day of adventure ended a little too soon. As I write, the day has not yet ended, and we are already planning our next trek. 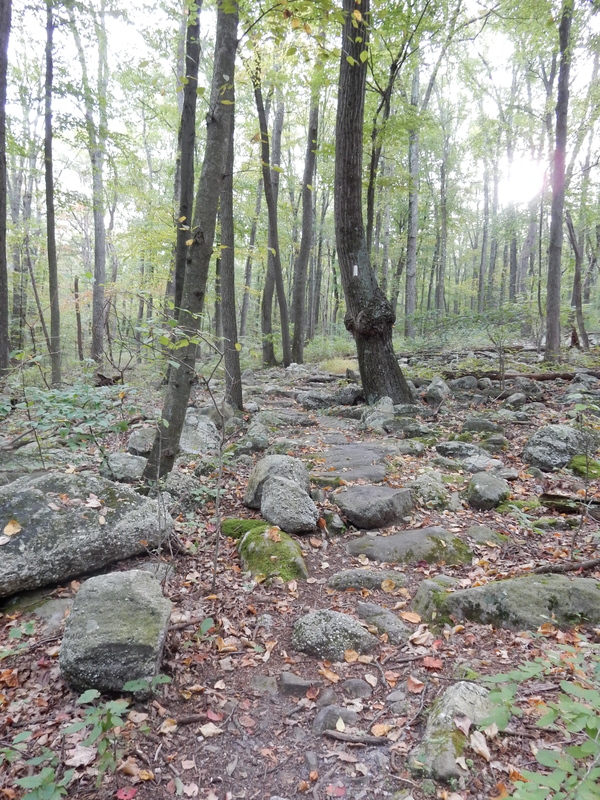 This entry was posted in Birch's Jots on Jaunts, Pennsylvania Hikes and tagged A.T., Appalachian Trail, Rausch Gap, Swatara Gap by Birch. Bookmark the permalink. Looking forward to getting back up that way to finish my last section in PA! a measly little walk from Swatara to the 501 shelter. Glad you all found the water!!! We’ll be doing that walk soon, perhaps in ten or eleven days from now. Wouldn’t it be fun to do that together! Are you doing it as an overnight? No, as a day hike. We’re doing Swatara Gap to PA 501 on Saturday and, then, PA 501 to PA 183 on Sunday.